4Motion was formed as a community group in June 2012 by some parents whose children participated in the bike coaching sessions at the West Park Bike Track, Darlington. We wanted to get the sessions at West Park up and running again. We also had opportunity to explore the idea of an indoor Skatepark. Darlington Gymnastics were looking for a new home and through links we came together to see if we could find a building that could accommodate us both. With this opportunity we decided we needed to form a limited guarantee company and to become a registered charity, ‘4Motion Darlington’. We got company registration in April 2013 and are now a registered charity. Our approach is one of having children and young people at the heart of developing and delivering projects. We currently have 21 young people that have been playing an active role in developing the projects and we link up with Legacy (skateboard shop in Darlington) and The Chaos (skateboard, scooter, bmx and snowboard shop in Darlington). If you want to get involved or help in any way you can, you are more than welcome to. 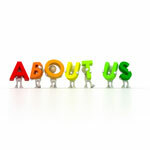 Simply visit the contact us page and get in touch by whichever way suits you. © 4 Motion Darlington 2013 | All Rights Reserved.